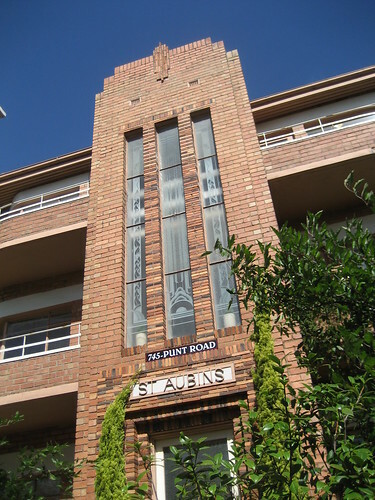 St Aubins on Punt Road, South Yarra is a typical Melbourne block of flats. 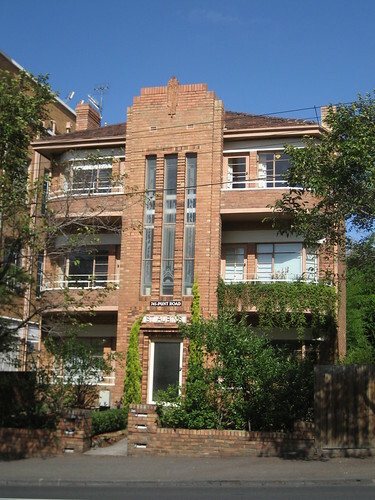 Three storeys because that was the maximum allowed without the requirement to install a lift and brick is used for the structure and for the design elements because Melbourne had a lot of brickworks. Perhaps the slightly unusual aspect is the glass in the tower housing the stairwell. Often this would be glass bicks but here there is a lovely etched glass pattern perhaps more commonly found in private houses. Love the etched glass. 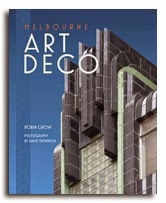 I wish there were a lot more art deco buildings which kept all the internal features. It would be great to have more with the furniture and fittings of the decade as well. 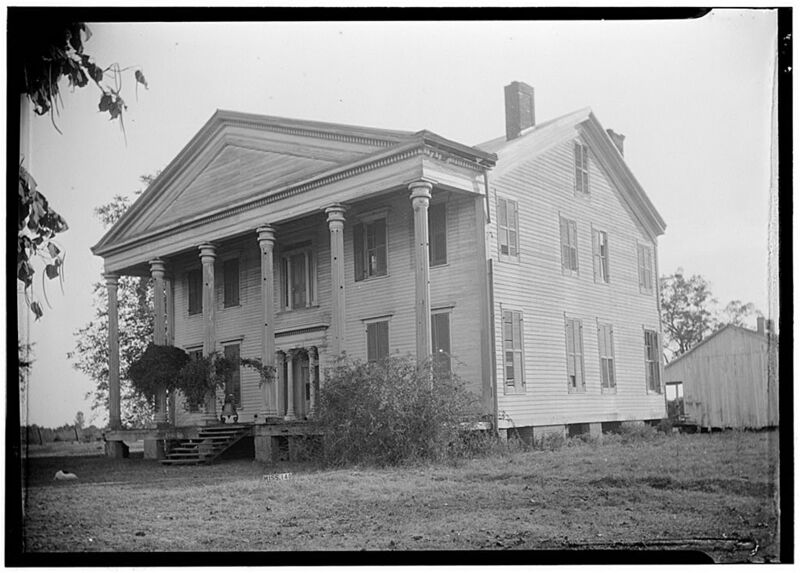 I hate seeing them gutted and modernized. I know sometimes alterations have to be made, but too often it's not done in away that shows respect to the original. I know what you mean Lisa and we have to make allowances that we live in the 21st century not the 1920s and 30s but at times they could be more respectful to the original features.